Ultravox were amongst the innovators of British electropop that started to edge their way into the mainstream just over three decades ago. However, some aspects of their unique brand of British New Wave would sit more comfortably alongside the dark shadows of an imposing location, somewhere in Germany. 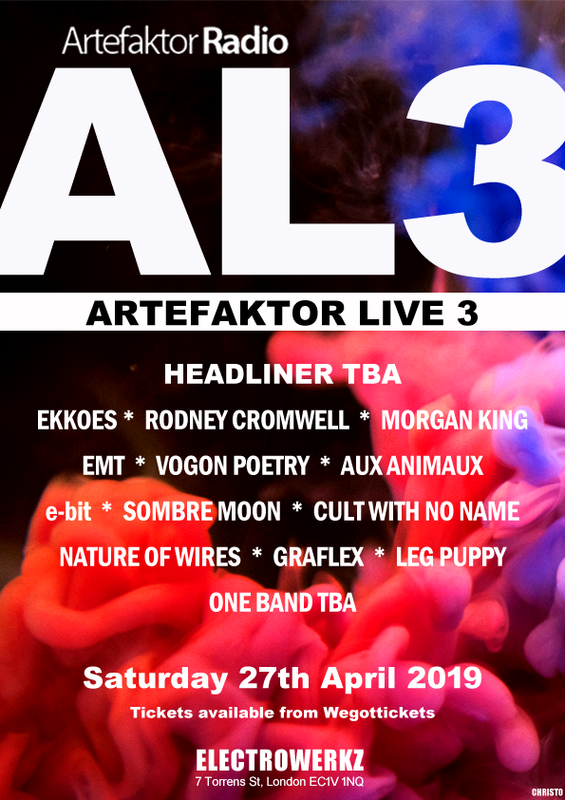 And, considering the new electro Europeans had already been unleashing offerings that were born out of that very hotbed for heavy industry (take the likes of Neu! and Kraftwerk as fine examples), it would appear that Ultravox would follow them nicely, complete with abstract lyrics and a graphic stance. Germany is, of course, where the first seeds were planted with regard to experimental electronic music. For the German main-players, styled expression was the soundtrack – one that would elicit freedom and present music in different forms. A hit back at the social problems and a diverse contrast to what was considered the norm. It started as early as 1968 with a band known as Organisation, who would later change their name to Kraftwerk in 1970. Subsequently, towards the back end of the 1970s, many artists in the UK were taking their cue and experimenting with the synthewsizer and thus, citing bands such as Kraftwerk as their primary influence when it came to manipulating their new found signatures. The German pioneers could almost be a Power Station full of raw materials that would get broken down and used later – and in many varied forms. Shortly over thirty years later, the rise of the album Brilliant – and subsequent tour – proved that Ultravox never lost their way musically. They would eventually shift direction, but the impact of those early German influences (particularly throughout their former years) was more than just a mere paperweight. Ultravox never did things by halves. 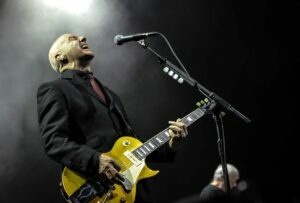 Although their initial UK show consisted of two sets, the band announced that they would be foregoing a support act in favour of playing for longer. They did just that, their full show consisting of a twenty seven song set divided by a twenty-minute interval. 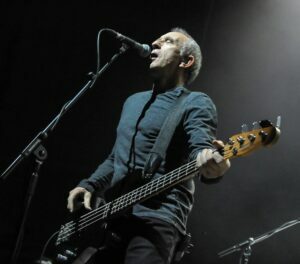 Playing live is what they do best – “Ultravox never came across on record,” states Warren Cann. The set would go through its natural evolution process that encompassed a couple of minor tweaks, including some re-ordering of encores. “It was actually the merchandising guy that pointed it out,” Warren Cann tells The Electricity Club, referring to when original encore ‘Contact’ swapped places with ‘Dancing With Tears In My Eyes’. “He said people were less likely to buy a tee-shirt on the way out if they were leaving on a low.” It was later omitted from the set completely by the time the show got to Europe. And there lies the challenge in putting together a set: “Imagine four guys with a paint brush”. Warren explained that they would list all their songs and then each member would go through them to determine those out of the question and those that they’d like to do. 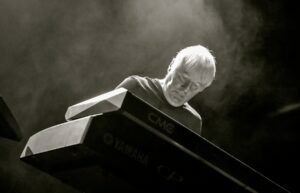 He expounded additional factors, such as the need to consider the key of the song or whether Midge played too much keyboards or guitar in particular sections of the set . Therefore there was a need to judge the whole look and feel, in addition to enabling it to work musically. Forging a set list from Brilliant was obviously new territory for the band this time around: “I think there are songs that we are not playing that we should be playing,” stated Warren when speaking of the tracks from Brilliant. But his preferences regarding the set didn’t stop there: “I’d like to play ‘Passionate Reply’, as well as a couple of Foxx-era tracks including ‘Slow Motion’,” he reveals, following the Leipzig gig (which saw the band return to a traditional one set show). “Playing two sets was weird,” adds Billy Currie. “I was glad to get back to the one set again in Germany”. Upon reaching Cologne, they were placed in what could almost feature as their spiritual home given the prominence of their iconic, early releases that were written and recorded there. Opening with the title track from their new album Brilliant, before stepping into their distinct blend of rock band persona for ‘New Europeans’, it was no surprise that they would continue to generate lashings of raw atmosphere that stemmed from those important changes made to the show configuration in Leipzig. This time it was non-stop power, which saw them step out from the industrial shadows and deliver all the raw materials they’d always been noted for, not least, the drama of their most famous ballad ‘Vienna’ – which incidentally had a certain magical appeal when witnessed at the Gasometer venue in Vienna. There were rocked up versions of the hits ‘Hymn’ and ‘Dancing With Tears In My Eyes’, these two tracks in particular exhibiting some subtle differences. For one, they had become more guitar orientated and the keyboard part on the verses of ‘DWTIME’ was difficult to extract at all the shows (although it’s as clear as a bell on the Hammersmith live recordings). Explosive breaks of synths and violin were still high on the agenda though. Take ‘Astradyne’ for example, and not least, the undercurrent of its uplifting piano melodies. Every show on the tour earned its own special place – Midge and Billy’s handshake onstage in Munich following ‘We Stand Alone’, and one dangerously intense synth solo, was another notable moment that induced masses of audience cheers. There was no shortfall when it came to showcasing their new catalogue from Brilliant either. And, true to form, on each night they would deliver the grandest of finales: ‘The Voice’, which now has a more powerful piano sound behind it, saw all four members taking part in their legendary percussive workout before taking their bows and tossing their drumsticks into the audience. 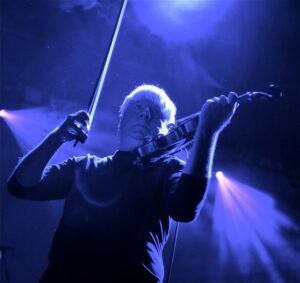 “I’ve really enjoyed playing these European shows,” remarked Warren after the Cologne gig. With abstract sounds – sometimes so shockingly stark, that they would blend into sonic soundscapes – the threads that form the basis of classic-era Ultravox’s landmarks are easy to identify. Ultravox! (with the “!”) were named so after Neu! and when it came to Ultravox continuing their significant journey, their albums Vienna and Rage in Eden (as well as the earlier Foxx-era Systems Of Romance) would flash the genius of legendary Cologne based producer, Conny Plank – providing a common pathway that was shared by both Neu! and La Düsseldorf . With many of Ultravox’s early, non-commercial and more obscure album tracks would come misunderstanding; being deemed cold, grim and mechanical, by the many who would often misjudge their artistry. Yet something seems incredibly appropriate when considering such a description – take the influences of the time, and not least, the visual aspects of the work. With the darker qualities of their writing, they remained uncompromising – just as those who had gone before them had. They nurtured the creative nucleus that allowed the more daring elements to flow and they made no apologies for it. Ultravox would ultimately embrace the synthesizer, yet they set themselves even further apart by mixing that distinct blend of rock band instrumentation with various electronic personas. The earlier German bands of the genre had strived to edge beyond the basic rock ‘n’ roll simplicities, but for Ultravox guitar instrumentation would creep back in with tracks such as ‘All Stood Still’ and ‘New Europeans’. The Vienna album as a whole appeared to be built upon those very foundations and would expand upon what had already drifted into our consciousness from Germany – for those who cared enough to listen. But not only that, they took things a step further with notable classical blends also, morphing it all with softer tinges of accessible pop, or theatrical ballad. What their clever integration of styles also did, was enable them to step ahead of their more progressive German cousins, forming a brand new musical identity. It was perhaps less freeform – in the progressive sense – but it still had an expressive edge, depending on which side of their personality you would choose to appraise. Slightly later, the concept styling of Rage in Eden was a throb of darkening desire that would touch the air with its cold voice. ‘Stranger Within’ would give way to a thrilling ride that bore similar temperate tones to Neu! guitarist Michael Rother’s ‘Feuerland’. ‘Feuerland’ with its sinister contours, maintains a pace that strives towards anxiety-driven movements sharing that familiar pulse evident in ‘Stranger Within’. The Neu! track ‘E-Musik’ is a thought-provoking one. It would be the inspiration for live B-side ‘Face To Face’, with similarities that certainly exhibit that same sense of place. Consider its texture template – from building trippy guitar to distinctive rhythmic foundations. Tones from ‘Hallogallo’ could also be traced into ‘Face To Face’, but ‘E-Musik’ is particularly significant. 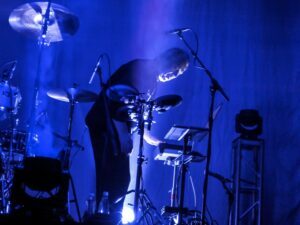 Drummer Klaus Dinger exhibited a motorik style much like Apache Indian tribal motifs, which Warren Cann would essentially borrow, despite him having very much being exposed to traditional blues-rock platitude. “The first gig I ever saw was Jimmy Hendrix in Vancouver,” recalls Warren. With regards to themes around tribal drum work, cosmic rockers Faust also did lots of experimentation in this area. Looking back to ‘E-Musik’, its rhythmic chant drives forth another interesting commentary when considering how these particular drum patterns also align, not only with the outro to ‘The Voice’ (and that famed live drum solo), but also ‘The Song (We Go)’ off 1982’s Quartet album. The infusion of howling wind mid-track is a distinct haunting touch that shifts towards the intro of ‘Reap The Wild Wind’, as heard on Monument The Soundtrack. When Neu! split, thankfully that didn’t mark the end of a great period of German music. 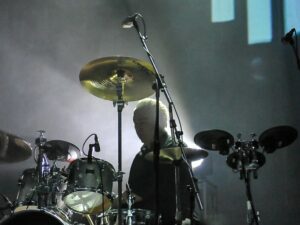 Michael Rother would go solo while Klaus Dinger went on to form La Düsseldorf. Harking back to the days of The Blitz Club, DJ Rusty Egan would play ‘Viva’ by La Düsseldorf; it also featured in the soundtrack for the Boy George dramatisation Worried About the Boy. Conny Plank would produce the first La Düsseldorf album as well as the first three Rother albums. 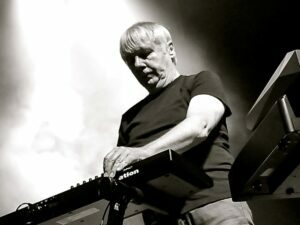 Billy Currie mentioned in an interview with TEC back in May that ‘Astradyne’ was heavily influenced by La Düsseldorf, most probably by the twenty minute epic ‘Cha Cha 2000′ with its middle piano breakdown and epic synthphonics. The Rother track ‘Zyklodrom’ also appears to have a marked presence. There are synth washes that melt into an empty background and those that appear towards the latter part of ‘Astradyne’ are perhaps a miniscule nod to ‘Zyklodrom’. Sonically, it’s a fiery micro-symphony with gallant tones, as is ‘Astradyne’. The mid synth sections of ‘Passing Strangers’ are also closely aligned to ‘Cha Cha 2000’. They’re also witnessed more recently, creeping into play on ‘Live’ from Brilliant. Speaking of Rother, the track ‘Sonnenrad’ was the inspiration for ‘Dancing With Tears In My Eyes’ – Billy was given the Sterntaler album, from which it came, by Conny Plank. It’s certainly possible to feel how ‘DWTIME’ could emerge from the dampened down guitar progression that underpins ‘Sonnenrad’, while noting also the rhythmic dimensions. The intros could almost be one of the same, in terms of feel, tempo, pitch and structure. 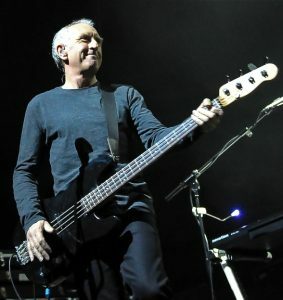 Weaving it all together, the pre-show music at the 2012 Ultravox gigs featured Rother’s ‘Flammende Herzen’ and ‘Karussell’, plus La Düsseldorf’s ‘Time’ and ‘Silver Cloud’. ‘Silver Cloud’ has a sharp synth overlay that brushes against those of ‘One Small Day’ and even drives a slight Celtic atmosphere. ‘Karussell’ however is probably the most Ultravox sounding adventure, purely due to its star bright synth motifs. But Ultravox sounding or not, such a playlist of music would give their recent shows a more potent European scent – a fitting touch. Billy once quoted in an interview with Beatmag circa 2006 that the solo at the end of ‘The Voice’ was very German and that also, ‘Williams Mix’ on his solo album Accidental Poetry Of The Structure is “quite German, with a definite nod to Conny Plank.” But then that shouldn’t come as a surprise. Neu!’s ‘Leb Wohl’, with its soft piano timbres could make its acquaintance with much of Billy’s solo work. ‘The Voice’ of course displays one of those renowned fiery solos, and it’s quite possible that various trademarks were exchanged between Ultravox and Neu! when it came to such a free-form improvisation formula. Working with producer Stephen Lipson, the band would deliver an album that looked forward rather than back, and much of that can be put down to technological advances. In a recent interview with GForce Software, Billy spoke of his decision to avoid the use of the VSM on the Brilliant album (the VSM having the ability to replicate the Elka Rhapsody 610), in an effort to avoid over blowing certain vintage elements. There’s no harm in some of the key fundamentals that do remain – Billy’s ARP Odyssey soloing for one. An absolute favourite, and still very much possible on stage, thanks to the Oddity software instrument. The onslaught of the laptop-based studio also makes the logistics of writing and recording easier, so who knows with regards to possible future material? The release of Brilliant did indeed put the band’s signature back on the parchment, certainly within Europe, but whether that scroll reaches further afield remains to be seen. 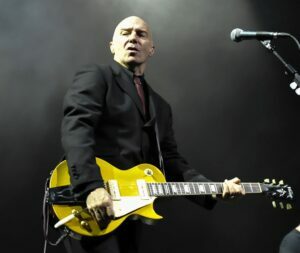 Ultravox would remain a cult band in the States, but the fact that 2013 will see Midge Ure take his solo show across the waters, extending to both the States and Australia, is certainly a mark of optimism. The Electricity Club gives its warmest and grateful thanks to Warren Cann and Billy Currie. Special thanks also to friends of The Electricity Club throughout Europe for their hospitality and kindness. Brilliant is released on CD and double clear vinyl by Eden Recordings/EMI Music. 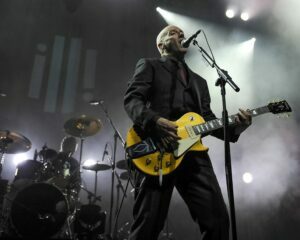 Ultravox 2012 Tour – Live at Hammersmith Apollo is released as a 2CD set by Live Here Now. Banner Design by Toni Hearn.